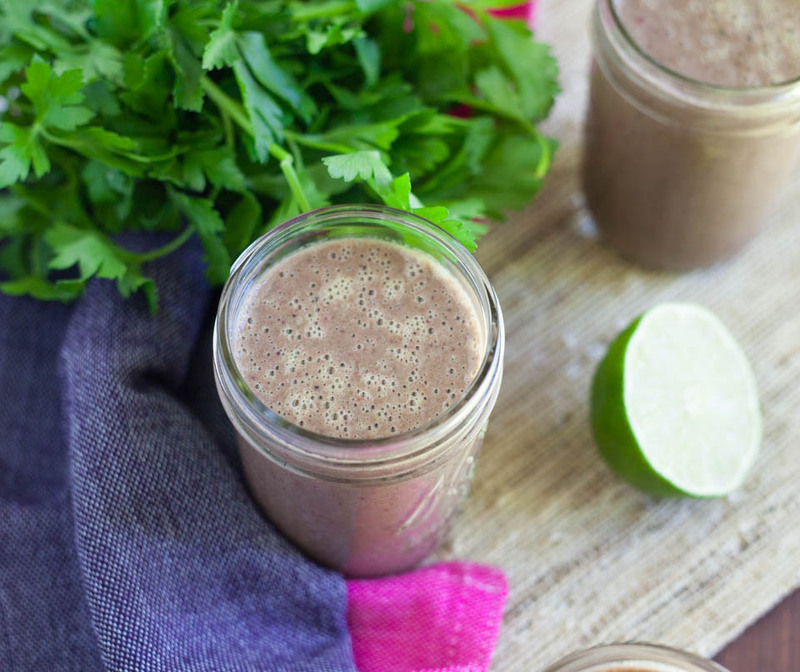 Have you ever tried herbs in your smoothies or juices? I’ve done it a few times but never made it a habit until now! Herbs are so good for us, they have tons of nutrients different than what we get from other greens in our smoothies like the usual suspects, spinach, kale, chard and the like. 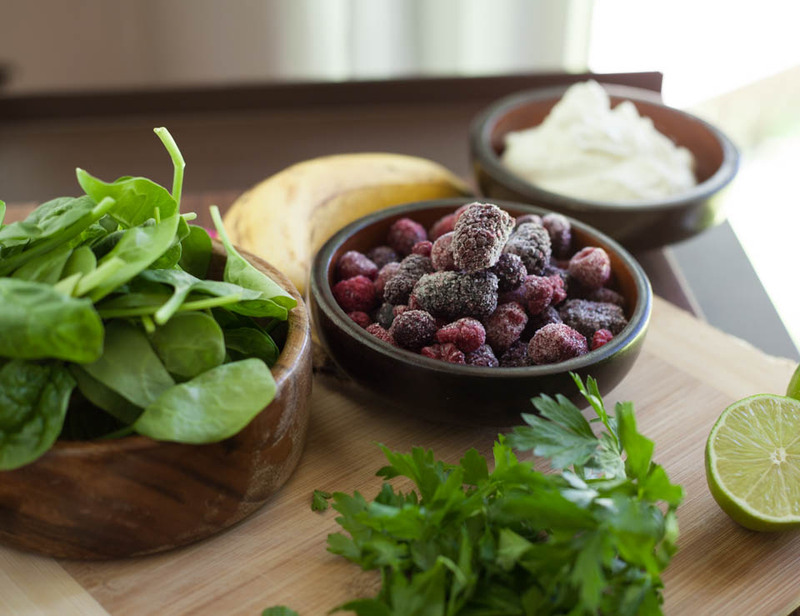 I was re-inspired to add herbs to my smoothies by Tess from The Blender Girl. I think it was a simple sentence in her blog posts that made this all happen, and I am so happy it did! I hope I haven’t lost you on this, please trust me, your taste buds and health will love you for it! Many cultures around the world use herbs in their diets for health and of course the taste. 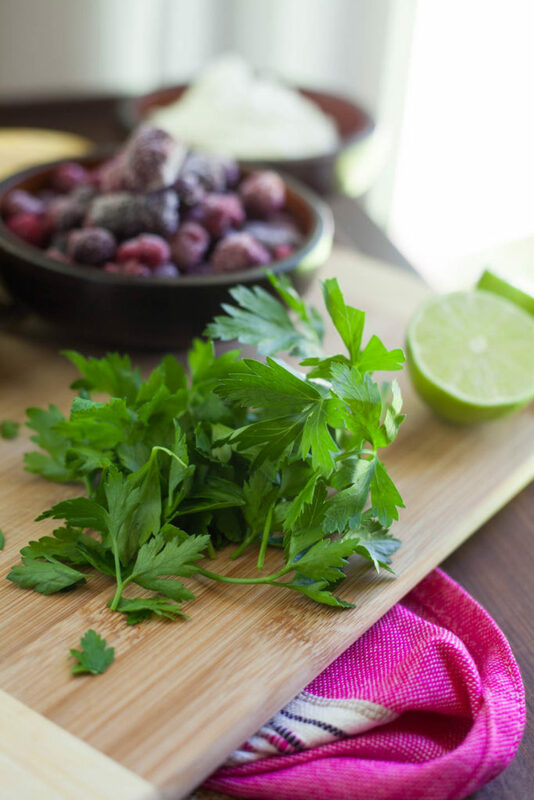 Herbs like fresh parsley are so bright and fresh, it actually makes perfect sense to add them to homemade juices and smoothies. 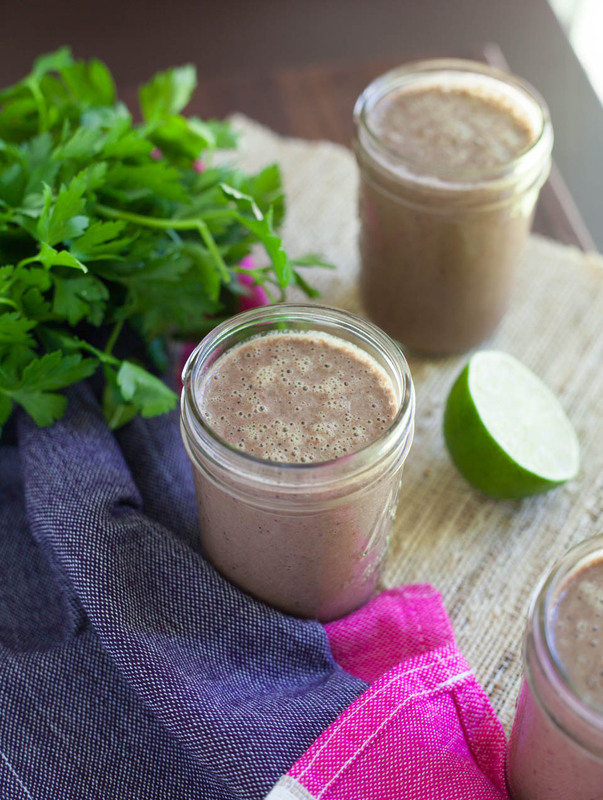 The same day I made this Berry Lime Parsley Smoothie I added parsley into my homemade juice. It adds a light herbaceous flavor, but not too strong at all. You can taste it but barely, in a good way. These ingredients naturally go good together, so before you say no, just give it a try. Let me know what you think! If nothing else, do it for your health :). I added just a 1/2 cup of fresh parsley to this recipe. If you try and like it, add more! Once you get used to that taste, try other herbs like cilantro and basil. They all taste great and have excellent health benefits. Place all ingredients in a blender and blend on high until smooth, about 2-3 minutes. Enjoy immediately or store with tight fitting lid for next day. I have never imagined adding herbs to my smoothie. This looks really healthy and refreshing. Will definitely give it a try. I hadn’t either until I was inspired by someone else:). Now I love it!